What! Crazy! I'm so excited. It's my first choice denim too! I follow via Twitter. My FAV! Not sure which pair I'd pick, as I'm about to have my first baby - but definitely something flattering and comfy for afterwards - I'm sick of these maternity jeans - ugh! Hard to choose but I'd go for the skinny mini-flare jeans. They just look too cute. Have a Happy Birthday Day!!! I'd love the slim flare jeans! I would pick the Diva skinny jeans in dark blue! So cute. Rockstar jeggings!! I also love the skinny flares! How fun and exciting! I would pick the retro flares! 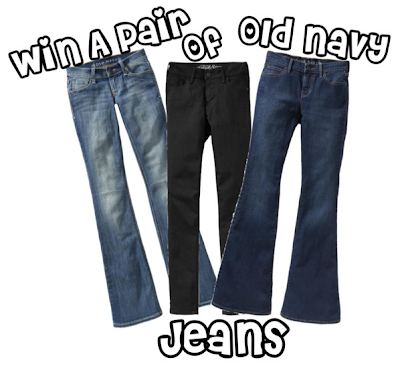 I would choose the Skinny Mini-Flare Jeans in Cotton Wood if I won this great contest! I would love a pair of the flare leg jeans!! I would need to try on the different styles for fit but a pair of skinny is my new obsession! I would get another pair of the diva style skinny jeans in black or a dark wash.
Definitely some of the colored jeggings! Red!! I'd go with the Skinny Minny Flare! They are super adorable! I've always been a fan of the Flirt but I've been wanting to try the Diva! Following you via google reader now! I would get the Diva Skinny Jeans! I would definitely get the Diva Boot-Cut Jeans. Super excited! I would get the Dreamer Boot-Cut Jeans. I would love the Diva Skinny Jeans! Women's Retro Flares would be my choice! I would totally pick their high waisted flares... I bought a pair not too long ago and LOVE THEM. I don't think I ever want to wear another pair of jeans again! I would order The Rock Star Jeggings in Blue Corsica. I follow you via Blog Lovin'. My favorite item is the Women's rock star jeggings.